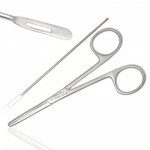 Gillies Dissecting Forceps Toothed 15cm Single use Sterile .. Single Use Sterile - Halstead Mosquito Forceps Curved 12.5cm Single use, individually wrapped Hal.. 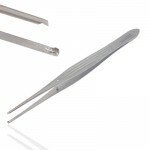 Single Use Sterile - Halstead Mosquito Forceps Straight 12.5cm Single use, individually..
Hartman Crocodile forcep Forceps 9cm x 7.5cm ..
Hunter Splinter Forceps 10.5cm ..
Instramed Dissecting Forceps / Tweezers | 13cm Size: 13cm Single use S..
Instramed Mcindoe Dissecting Forceps | Toothed | 16cm Toothed Size: ..
Instramed Tilley Aural Forceps 16 x 6 x 10cm Sterile ..
Instramed Vasectomy Forceps | Blunt/Blunt | 15.5cm 15.5cm Blunt/Blunt ..
Instramed Vasectomy Forceps | Sharp/Sharp | 15.5cm 15.5cm Sharp/Sharp ..
IRIS Non Toothed Forceps 10.5cm 10.5cm Plastic Handles Metal Tip Sterile Single use ..
Instramed Iris Forceps | 10.5cm | Toothed Metal 10.5cm Single use .. 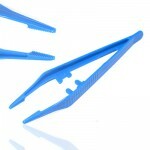 Lanes Toothed Dissecting Forceps 12.5cm Single use Sterile .. 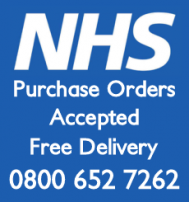 Lanes Toothed Dissecting Forceps 18cm Single use Sterile ..
Lister Sinus Forceps 13cm | Sterile ..
Lister Sinus Forceps 15cm | Sterile ..
Magills Forceps - Adult 9.5 x 16cm Sterile ..
Magills Paediatric Catheter Inducing Forceps ..
Martins Splinter Forceps 12cm ..
Mcindoe Non-Toothed Dissecting Forceps 16cm Single use Sterile ..
Silver Probe with Eye & Lister Sinus Forceps Silver Probe with Eye..
Spencer Wells Forceps 12.5cm | Straight ..
Spencer Wells Artery Forceps | Straight | 18cm 18cm Straight ..
Spencer Wells Artery Forceps Straight 20cm ..